While the roster isn’t large, there are several champions making waves in the current meta. In Battlerite, knowing the best champions in each class is key to winning matches and supporting your team. Knowing which champion performs best under certain circumstances—and which champion matches your personal playstyle—is something that every Battlerite player should take into consideration. At the moment, there are only 19 champions in Battlerite. While this may be a small roster compared to other MMOs like League of Legends and Smite, it’s one that’s constantly growing, shifting, and expanding. Because of this, we thought we’d help get you up to speed on the best Battlerite champions in every class. Shifu is one of the best melee champions in Battlerite. Shifu is one of the best Battlerite heroes in the current meta thanks to his high mobility and relentless damage. Shifu is a melee champion that’s supremely hard to get rid of once he’s set his sights on you. This is due to his Fleetfoot and Tempest Rush abilities, which grant him high movement speed, and allows him to chase after an enemy should the situation call for it. Spear Slash - Shifu’s basic attack allows him to strike enemies with his spear dealing 10 damage per hit, with each successful hit charging his weapon. Each charge increases the damage of Impale (max charge of 3). Impale - Shifu thrusts his spear in a straight line dealing 9 damage to all enemies hit and 5 bonus damage per weapon charge. Deals less damage to multiple enemies (40% damage reduction per hit). Fleetfoot - Shifu becomes temporarily Immaterial and his movement speed is increased by 35%. Kunju - Shifu counters the next melee or projectile attack. Shifu becomes Immaterial and teleports behind the attacking enemy. Your next Spear Slash attack deals 17 damage. 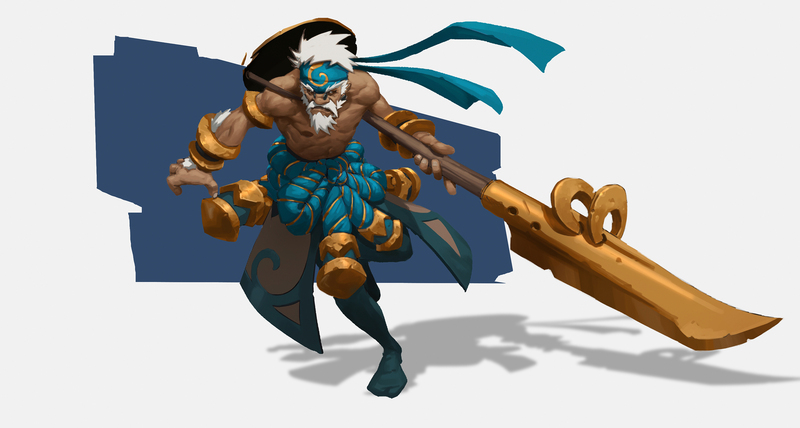 Javelin - Shifu throws a javelin dealing 10 damage and enables him to jump forward towards an enemy. Tendon Swing - Shifu swings his spear in a cone dealing 12 damage and inflicting Incapacitate on all enemies in the area of effect. Tempest Rush - Shifu becomes temporarily Immaterial, his movement speed is increased by 50%, and his Spear Slash hits heal him for 14 per hit. Shifu deals 50% less damage during this effect. Harpoon - Shifu throws a harpoon that deals 14 damage and drags the enemy towards him inflicting Snare for 5 seconds. Whirlwind (Ultimate) - Shifu spins into a whirlwind dance that deals 112 damage over 3 seconds to all nearby enemies, gives him a 20% speed increase, and also gives him a Shield with a value of 30. Croak is another favorable melee champion in Battlerite. This is because Croak is incredibly sneaky, and is one of the best stealth champions available to you. Croak is typically best in short bursts and in 1v1 engagements. However, Croak can hold his own alongside his team in a pinch, as he’s very good at extracting himself from a potentially dangerous situation. Blade Flurry - Croak strikes with his blades dealing 8 damage per hit. Frog Leap and Camouflage abilities will increase the attack speed for a limited amount of strikes. Toxin Muck - Croak spits toxin much at a target location dealing 6 damage, inflicting Toxin, while healing himself for 6 health. Frog Leap - Croak leaps and strikes with his blades dealing 20 damage in front of him. Can be recast, and Croak is Immaterial during the animation. Camouflage - Croak turns invisible and gains Fading Haste which increases his movement speed by 15%. Blade Flurry attacks made from Camouflage inflict Stun. Noxious Lunge - Croak lunges forward and pierces through enemies dealing 12 damage. Toxin Blades - When Toxin Blades is activated alongside Blade Flurry, attacks will deal 2 bonus damage, inflict Toxin, and will heal Croak for 2 health. Sludge Spit - Croak launches a projectile attack that deals 10 damage, reduces sight range by 80%, and inflicts Toxin. Deceit - Croak turns invisible and gains Fading Haste, increasing his movement speed by 15%. Blade Flurry attacks made from Deceit inflict Incapacitate for 3 seconds and cause Croak to enter Camouflage. Venom Wind (Ultimate) - Croak dashes forward in the shape of a venomous wind, piercing through enemies and inflicting Venom. Pearl exceeds when it comes to healing teammates, and can escape quite easily when the situation calls for it. Thanks to her versatility and mobility, Pearl is hands-down one of the best support champions in Battlerite. Furthermore, Pearl is relatively easy to learn as her abilities are all pretty straightforward. Volatile Water - Pearl launches a projectile that deals 15 damage. If Pearl’s staff is fully charged, Volatile Water deals 22 damage and Silences the enemy target. Healing Wave - Pearl channels a healing wave that hears the nearest ally for 21 health over 0.45 seconds. This ability recharges faster for each nearby ally. Dive - Pearl dives into a pool of water and travels to a target location. This ability recharges Pearl’s staff. Tidal Wave - Pearl counters the next melee or projectile attack causing a tidal wave that deals 16 damage, knocking nearby enemies back. Tidal Wave also heals Pearl for 16 health. Bubble Barrier - Pearl spawns a bubble barrier at a target location which slows enemy projectiles and all enemies that enter its area of effect. Bubble Shield - Pearl conjures a Shield for a target ally which absorbs 30 damage and removes all negative effects. Overflow - This ability recharges Pearl’s weapon. Unstable Bubble - Pearl spawns a bubble barrier at a target location that slows enemy projectiles and enemies that enter its area of effect. Unstable Bubble explodes when the effect ends, dealing 26 damage and knocking enemies back. Jaws (Ultimate) - Pearl summons Jaws from the depths to devour enemies, dealing 20 area damage. Devoured enemies are removed from battle until Jaws spews them back out, dealing 20 damage to all enemies near the landing site. Can be recast to redirect the landing site. Lucie is a support champion capable of dealing solid amounts of damage, while also boasting a wide range of zoning and escape skills to help wrangle up enemies. Lucie brings great range and mobility to the table, though her health is somewhat slim. Keeping her squishiness in mind, it’s typically best to exercise caution and stay close to your team when playing as Lucie in Battlerite. Toxic Bolt - Lucie fires a projectile attack that deals 12 damage and inflicts Toxic. Healing Potion - Lucie throws a potion that heals the nearest ally for 14 health and applies Revitalize. This ability recharges faster for each nearby ally. Barrier - Lucie casts Shield on a target ally which absorbs 50 damage. 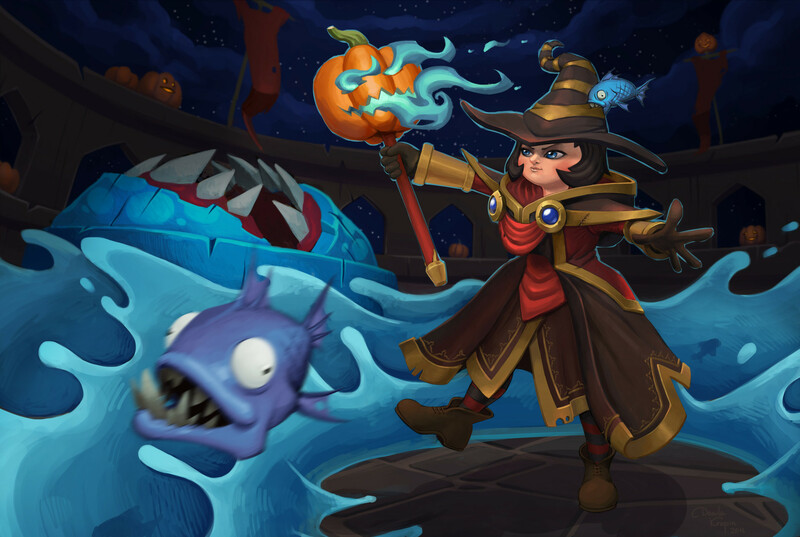 Clarity Potion - Lucie throws a Clarity Potion to a target location, knocking nearby enemies back. The knockback also removes positive effects from enemies and negative effects from allies. Panic Flask - Lucie throws a flask dealing 12 damage, causing target to Panic. Roll - When activated, Lucie will roll forward and avoid incoming attacks. Deadly Injection - Lucie fires a bolt that inflicts Deadly Injection on the enemy target. Petrify Bolt - Lucie fires an exploding bolt that inflicts Petrify on all nearby enemies. Crippling Goo (Ultimate) - Lucie throws a vial of mixed chemicals to a target location, dealing 18 impact damage while Snaring enemies. Crippling Goo also coats the ground, dealing 80 area of effect damage for 6 seconds. Jumong is one of the best Battlerite champions thanks to his impressive range. Jumong is one of my favorite Battlerite champions not only based on design, but because his attacks hit hard, he’s very versatile, and is just a pain to deal with overall. In the right hands, Jumong can be absolutely lethal. That said, he’s not the easiest Battlerite Champion to master due to the sheer amount of precision his attacks require. Hunting Arrow - Jumong fires an arrow that deals 18 damage and charges your bow with each successful hit. A fully-charged bow will enable Jumong to recast Steady Shot or Black Arrow. Steady Shot - Jumong fires a projectile attack that deals 30 damage. Black Arrow - When cast, Jumong will dash towards a designated move direction and fire an arrow that deals 8 damage. Prowl - This ability increases Jumong’s movements speed by 100%. Running into an enemy inflicts Seeker’s Mark and removes movement impairing effects. Bear Trap - Jumong places a trap that inflicts Root on all nearby enemies once the trap is triggered. Rain of Arrows - Jumong unleashes fire arrows that rain down on a target location dealing 35 damage for 2.5 seconds, and applies Snare to enemies. Seeker’s Arrows - Jumong fires a piercing arrow that turns to hit the same target again after initial impact dealing 8/8/8 damage. Each hit charges Jumong’s weapon. Predation - This ability makes Jumong temporarily Immaterial and increases his movement speed by 100%. Running into a nearby enemy inflicts Seeker’s Mark, dealing 6 damage and healing Jumong for 14 health. Also removes movement impairing effects. Dragon Slayer (Ultimate Ability) - To cast Jumong’s ultimate, press and hold to charge and arrow for 2 seconds. This will increase its damage and travel distance. Once launched, the arrow will deal 30-60 to a designated target, and will pull that enemy dealing 30 damage and applying Stun. Poloma deals an insane amount of damage which, when combined with her healing prowess, makes her a real pain to deal with. She has a lot of mobility, and is a strong carry for most (if not all) team compositions. Additionally, Poloma is a little easier to get the hang of as opposed to the aforementioned champion, Jumong. This is mainly due to Poloma’s versatile set of abilities. Soul Bolt - Polma fires a Soul Bolt that deals 10 damage and inflicts Soul Bind on the enemy target. Also heals Poloma for 8 health and applies Spirit Link on target ally. Other Side - This ability lets Poloma send a target ally into the spirit realm making them invulnerable and increasing their movement speed by 40%. Also heals Poloma and nearby allies for 12 health once the effect ends. Spirit Guide - Poloma summons a Spirit Guide that heals a target ally for 16 health, or deals 12 damage and knocks a target enemy back. Spirit Rift - Poloma opens a rift that interrupts the next ability cast by nearby enemies. Will inflict Panic when an ability is interrupted. The panicked target runs at 15% increased movement speed. Ghost Wolf - Poloma summons a Ghost Wolf that hits up to 3 targets dealing 20/16/12 damage and inflicting Soul Bind on each hit. Pixie - Poloma summons a Pixie that mimics her Soul Bolt ability. Mimicked Soul Bolts deal reduced damage and healing. Soul Transfer - Summons a spirit that deals 16 damage to enemies or heals 20 health to allies. Poloma and the target swap locations on impact. Can be recast to teleport if no target is hit. Soul Drain - Poloma opens a rift that drains 15 health and interrupts the next ability cast by nearby enemies. Inflicts 1.2 seconds of Panic when an interrupt is triggered. The panicked target runs at 15% increased movement speed. Ancestral Spirit (Ultimate Ability) - Poloma summons an Ancestral Spirit dealing 12 damage and inflicting Fading Snare to target enemies. Heals allies for 16 health. After 2 seconds, Ancestral Spirit will unleash a second wave of energy dealing 36 damage to enemies and healing allies for 24 health. 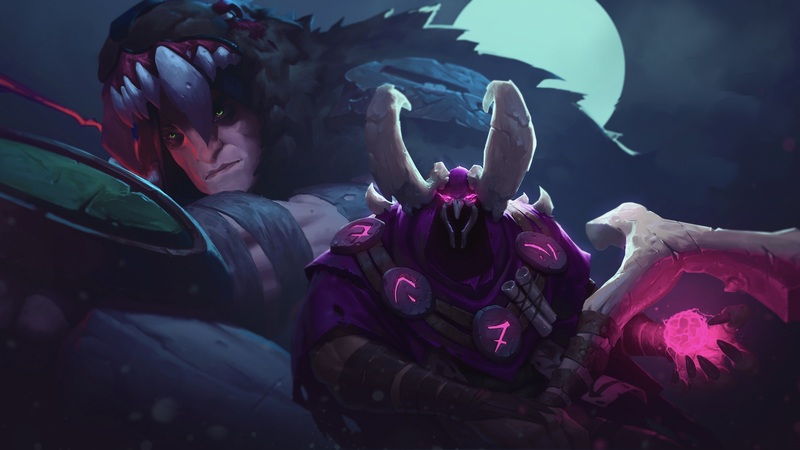 While there are only 19 champions available in Battlerite, the game is in a constant state of growth as it attracts new players to its unique battleground. The best way to determine which champion is right for you is to experiment with the available champions to discern which ones you're comfortable with. By reading through this guide, you should now know the best Battlerite champions in each class.